Versatility at its finest. Ideally suited for most genres. 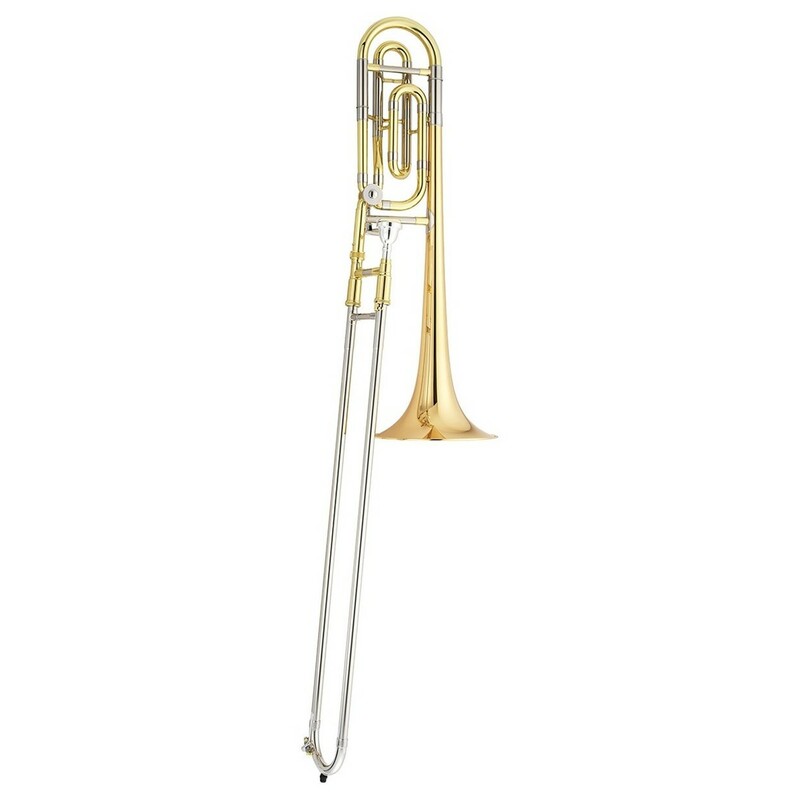 The Jupiter JTB1100FR trombone offers a bright and radiant sound. The medium bore found in the Jupiter Bb/F trombone produces a very versatile sound, so you can play in orchestras, brass bands, big bands, or other ensembles. To ensure your tone stays warm and radiant, the bell is made from quality rose brass. Unlike other trombones at this price, the Jupiter JTB1100FR trombone features a chrome-plated nickel silver slide. This combination of materials is often found on professional level instruments as it provides the most resilient and smoothest action around. The traditional closed wrap F attachment found on the Jupiter JTB1100FR trombone is great for centring notes and is perfectly balanced. Included with the trombone is a lightweight case and a mouthpiece so you can start practising straight away. The Jupiter JTB1100FR will help you advance and improve your playing. Boasting great intonation with a fantastic sound without a large price tag, the JTB1100FRQ will comfortably take you past your grade 5. Thanks to the incredible versatility of the Jupiter trombone, the JTB1100FRQ can be used in solos, jazz bands, orchestras, or brass bands. 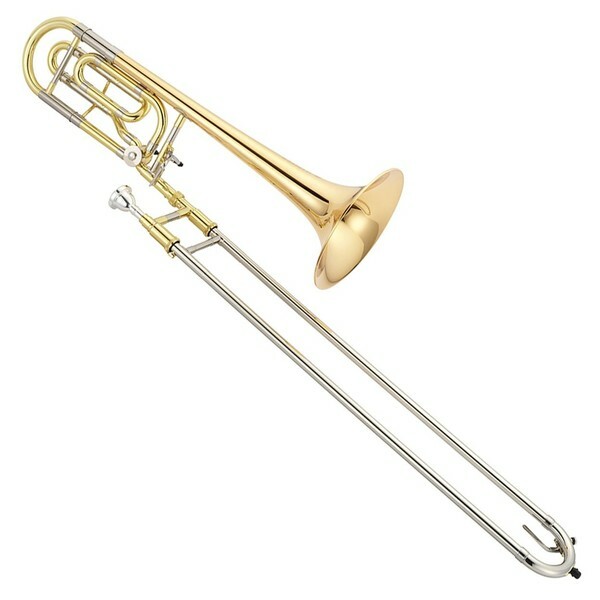 The Jupiter JTB1100FR features everything you would expect from an intermediate level trombone. The closed wrap style of F tubing is the most widely played in the world. Several connections through the trombone provide the musician with a compact and homogeneous sound. The JTB1100FR trombone is designed to provide you with a velvety tone - ideal for any musical setting. Similar to professional trombones, the inner slide on Jupiter trombone is made from hard chrome-plated nickel silver. Nickel silver is used as it is very dense and less likely to bend. The slide is then hard chrome-plated to ensure the smooth finish for the best possible action. For an additional touch of luxury, the bell is made from quality rose brass. Rose brass is popular among orchestral players for its ability to achieve much darker sounds than yellow brass can. This is because rose brass contains a higher amount of copper than yellow. These key attributes are enough to motivate and inspire you to want to perfect your skills and musicianship. Jupiter's lightweight case offers a practical design that is easy to carry. 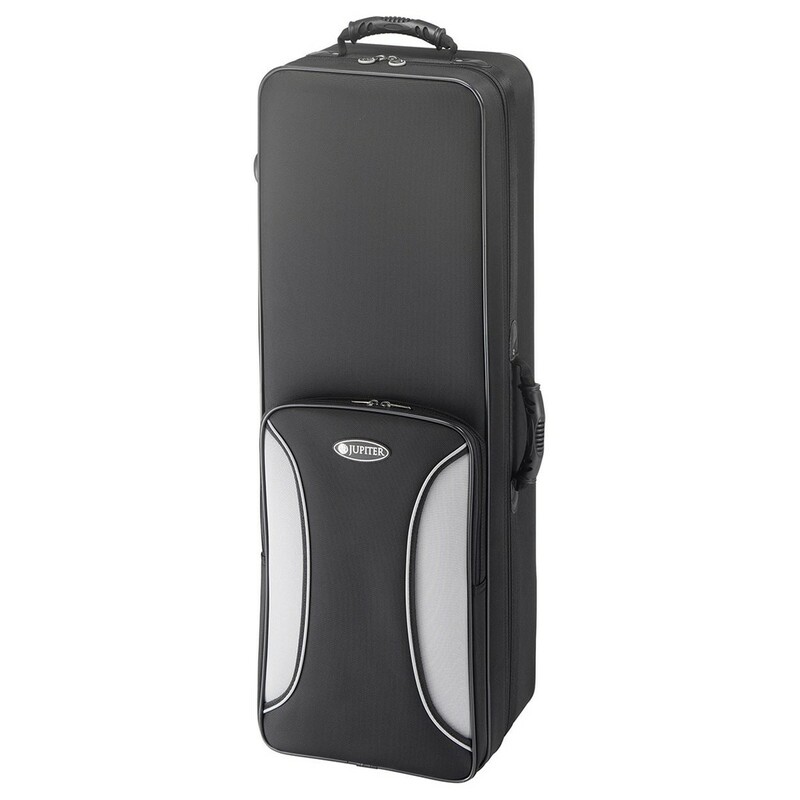 Whether you're going to rehearsal, gigs, or concerts, this case will protect your trombone from scratches and knocks. The dense case will keep your instrument looking, feeling, and sounding like new for longer. Also included is a mouthpiece so you can start playing straight away. Jupiter's goal is to ensure every musician is happy with their Jupiter instrument. Even their student instruments offer outstanding quality, specially designed to assist you to progress as fast as possible. By working closely with teachers and professional musicians, Jupiter continues to find ways to improve their designs to ensure everyone can be comfortable with a Jupiter instrument. Jupiter pride themselves on recently being ISO 9001 certified. Their promise to the planet has led them only to use environmentally-friendly ways of disposing of water. All Jupiter wind instruments are even built using lead-free solder! Unlike some other companies, Jupiter has a huge range of spare parts in stock. If anything unfortunate were ever to happen to your precious instrument, then you can rest in the knowledge that they can help you out in no time.